Have you ever watched a trailer for an indie title and thought to yourself, “Yeah, I get it. 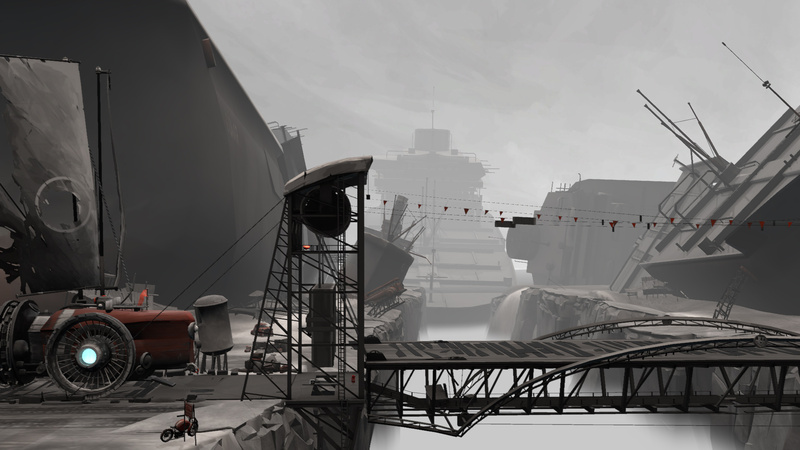 It’s one of those artsy titles more hell-bent on just looking pretty.” At a quick glance, that impression looks like it could apply to a title like Swiss developer Okomotive’s FAR: Lone Sails. Well, we've got some news for you; it's anything but. A side-scrolling puzzle platformer, this game differentiates itself by mixing up your means of traversal. Rather than simply walking and jumping everywhere, you have a vehicle, referred to as the Okomotive - same as the name of the studio - that you’re responsible for as it takes you across the vast environments. Your journey takes place over a vast array of biomes as you try to reach a coastline as means of escaping some sort of calamity. Your ship seems to be a relic of a bygone era, and as such it requires a bit of handholding to keep in tiptop shape. You’re responsible for keeping it repaired, putting out any fires that start onboard, and most importantly keeping it fuelled; a constant problem that you have to keep track of. 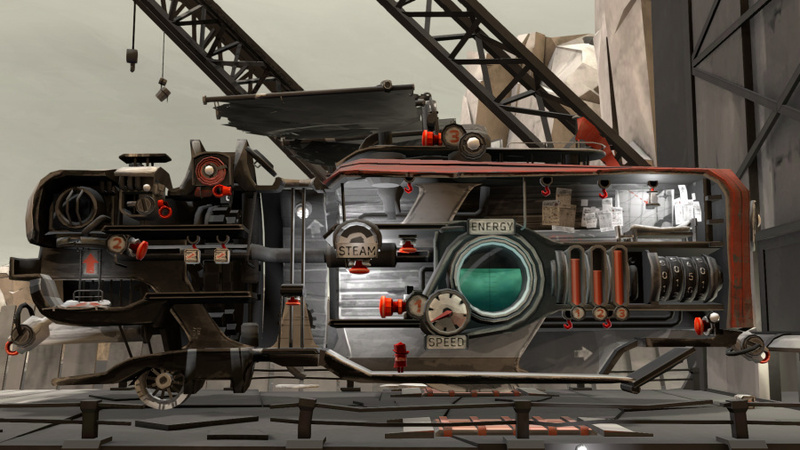 This hunt for fuel to keep the ship going is actually the primary mechanic of the game, and pretty much anything you find on the ground along the way can be thrown into the furnace to keep the Okomotive going forward. This constant need to monitor fuel, as well as make sure the engine doesn’t overheat, on paper sounds rather tedious, but this is mercifully not the case. Rather than being a constant nuisance, this mechanic laces the game with tension, making the adventure more harrowing than it would otherwise be. In this respect, the title actually shares more with a game such as F.T.L rather than a more traditional side-scroller. It also creates a different set of problems to solve than would be expected in a platformer. Do you burn the pile of books first or go for the oil drum? One will fill the tank up more, but you don’t need a full amount of fuel quite yet, and you can’t be sure when you’ll next find something to drop in the furnace. This facet of the game is one of its strongest assets, although we do wish fuel was a little more sparse. There was never a truly pressing moment where we ran out of fuel and had to think up a solution in a panic. This feeling of wanting also extends to the puzzle elements of the title. The game felt like it was building momentum through most of its run-time, adding new modules to the Okomotive, and slowly increasing the complexity of the puzzles. But that’s when the game ends. After the two-hour run time, we were ready for the challenge to start ramping up, but this never coalesces. Instead it ends. The difficulty in the puzzles peaks at requiring mild thought, which is definitely disappointing. Juggling all of the elements of your ship is the far more challenging aspect of the title, for better or worse. While the actual gameplay might not have manifested in quite the way we were hoping, the art direction absolutely blew us away. This applies in particular to the way the game utilises scale. FAR: Lone Sails shares a lot of similar design philosophies to the incredible Inside when it comes to the way its environments are depicted. Everything is absolutely massive around you. You’re just a tiny dot in a larger world that doesn’t really care that you exist within it. This is effectively conveyed narratively, particularly with the finale, which packs an emotional wallop to say the least. This feeling of the world existing regardless of whether or not you are there is conveyed with the game’s interesting and cavernous environments. But this flies in the face of how some of the puzzles work too. We had a huge gripe with the fact that your completing a puzzle and advancing in the environments didn’t feel like it made sense in-world. There were multiple instances where the next door or gate seemingly opened not because of something you did in the puzzle, but because you found the solution, so it’s time to go do the next one. 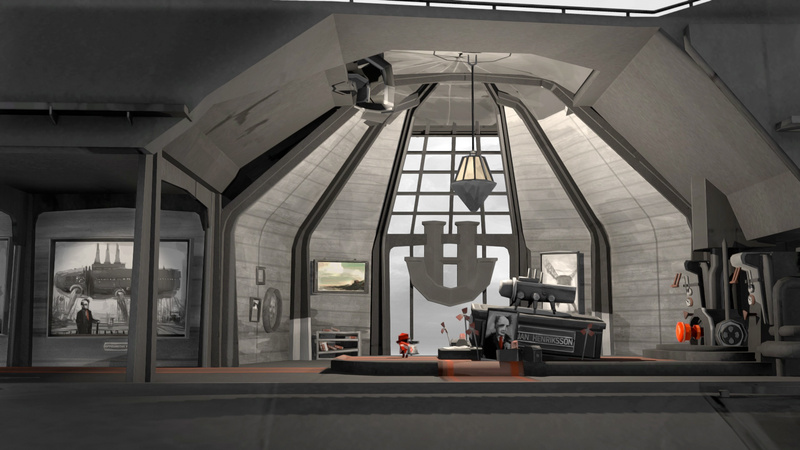 This took us out of the moment on several occasions, as the puzzles didn’t feel like an organic part of the world. It made the solutions feel entirely detached from your advancement, almost making them feel superfluous. This is softened a bit by the art direction as we’ve mentioned. The game is gorgeous. Practically every frame of the title is a work of art, and we found ourselves pausing the game to snap screenshots almost as frequently as one would expect of AAA Sony title. You also have direct control of pulling the camera in and out to varying degrees, and pulling the camera further out in particular made the environments even more incredible to behold. 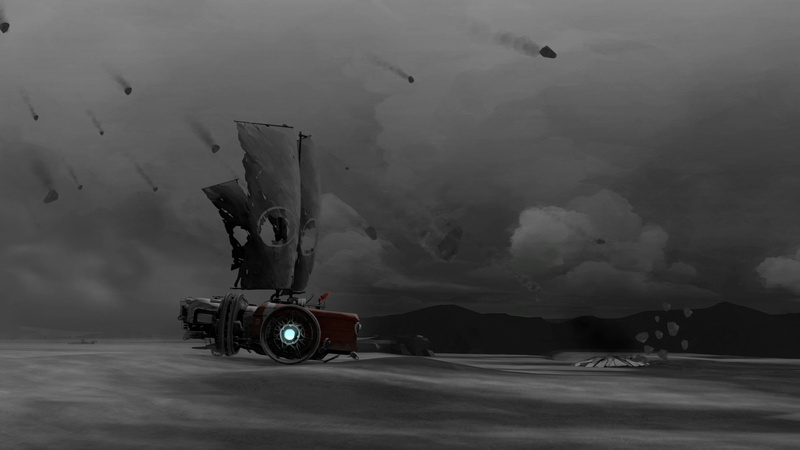 The soundtrack also paired wonderfully with the art. 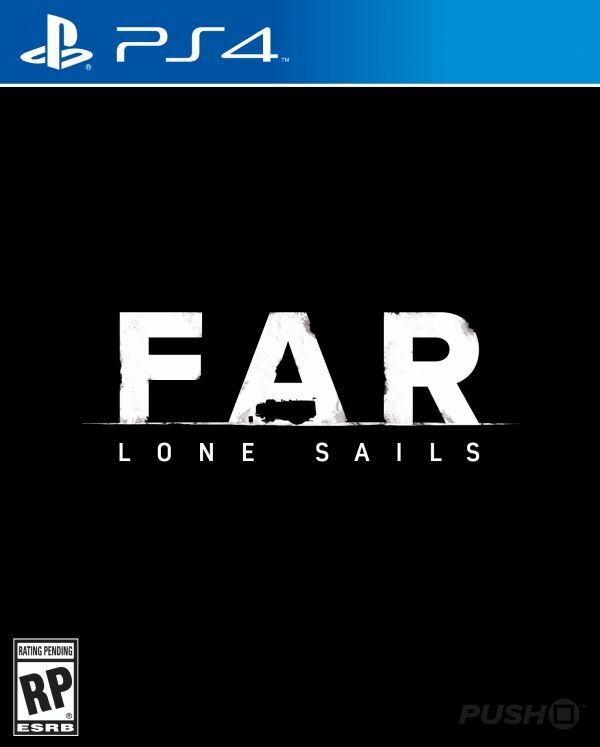 The game makes exceptional use of silence to convey the state of the world you live in, but when Joel Schoch’s score kicks in - usually when you’ve got your ship moving full steam ahead - it perfectly suits the game and elevates the presentation even higher than it already is. 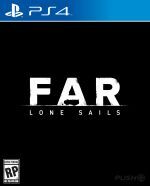 FAR: Lone Sails is a lovely title. Remarkable environments and a strong art direction anchor a brief but compelling title. While the puzzles and amount of resources never really hit a point to make anything truly challenging, the resource management loop is more satisfying here than it usually is in more survival-focused titles. If you don’t mind that the game isn’t terribly challenging, it’s well worth playing. The laser focused design paints a bleak, but still hopeful world, and the wordless narrative has a powerful conclusion that brought us right up to the brink of tears. A cool game, this! I had a brief try of it a while ago, and keeping the machine motoring along is good fun. I played this game and finished it I loved it thought it was great. Got it on Steam and glad to see this on the PS4 as well. I’ve been enjoying playing this since last week. It’s a relaxing game, making it especially good to play after an intense session on something like Division 2. Could be one to add to the list. I like a non taxing game now and again.